Alesong Brewing and Blending out of Eugene, Oregon is gearing up to release five new beers for their upcoming quarterly release and is also planning to host a celebration for their Seattle area members who purchase in the online presale (Join for details). Alesong primarily distributes their limited quantity of bottled beers through their mailing list. Want in? You can join their mailing list at the link above. Using this members-first method is Alesong’s best attempt at a system they believe ensures as many people as possible can get their beers, by reserving beers for their loyal customers in advance before anything sells out. Join now to get all the details. Then on February 20th, Alesong will host an event at Teku Tavern where you can pick up your beers. Posted in Aged, Ale, Award Winning, Barrel Aged, Beer, Beer Ingredients, Beer Release, Belgian, Blending, Bottle Shops, Bottling, Bourbon Barrel, Brewing, Craft Brewery, Cuvee, Distribution, Downtown, Draft, Eugene, Events, Farmhouse, Limited Edition, New Release, On Tap, Oregon, Oregon Beer, Party, Promotion, Quad, Retail Product, Rum Barrel, Scotch Ale, Seattle, Seattle Center, Taproom, Taps, Tasting, Washington, Washington Beer, Wit. Each year, the Washington Beer Commission puts on several different festivals to celebrate the diversity and excellence of Washington craft beer. These festivals are a great way to discover new Washington breweries and to explore different craft styles that you may not be as familiar with. It may still be a full month away, but tickets are already on sale for one of my favorite Washington Beer Commission hosted festivals: Belgian Fest 2017. Set for 2 sessions on Saturday, January 28th, Belgian Fest 2017 will feature well over 100 different Belgian style beers from over 40 different Washington State breweries. Featured beer styles include Tripels, Dubbels, Saisons, Wits, Abbeys and Lambics. In keeping with this unique style, all of the beers are brewed with Belgian yeast. The 2016 Cask Fest, which I first told you about back in January (with an update in early February), is coming up in about two weeks. This annual celebration of Cask Ale, presented by the Washington Brewer’s Guild, is a mecca for Cask Ale fans, with one-of-a-kind handcrafted cask-conditioned beers from over 40 different Washington State breweries. Now, with the festival almost here, the Washington Brewer’s Guild has announced the lineup for this year’s event. With 40+ different breweries in attendance, most serving at least two cask ales (and even more from most), you’re sure to find something you’ll enjoy. There will even be a special version of Herbert’s Legendary Cask Festival Ale, which was brewed at newly re-branded Mollusk Brewery (exclusive for WABL members). We may still be in the middle of Winter (damn, it was cold at my house this morning! ), but that doesn’t mean we can’t dream ahead. Spring is a mere 2 months away and with the return of Spring comes the Cask Beer Festival, presented by the Washington Brewer’s Guild. Not familiar with Cask Ale? Traditionally, Cask Ales are matured after fermentation in the container (the Cask) they are to be dispensed from, and are served without any additional carbonation beyond what carbonation they obtained from the Cask conditioning. This is why Cask Ales tend to be less carbonated and, often, served a bit warmer than their kegged counterparts. Posted in Beer, Brewing, Cask, Cask-Conditioned, Downtown, Events, Festivals, Local, Seattle, Seattle Center, Spring, Washington, Washington Beer. Craft beer has been growing in popularity for years. Bit by bit, many beer drinkers across the nation and the World are slowly abandoning bland, tasteless, corporate-controlled, mass-produced lagers like Bud and Miller and are welcoming all the varying styles of craft beer to their palates instead. It’s helped the number of craft breweries in the U.S. reach an all time high (as of December 2015, there are 4144 breweries in the U.S. according to the Brewer’s Association), while sales of mass-produced lagers continue to decline. While this is a great thing, to be sure, it seems that a number of the newer craft beer ‘converts’ out there don’t stray too far away from IPAs, Pale Ales and a few other styles like Red/Amber Ale, and a few Stouts or Porters. If you fall into this category, it may be time for you to expand your horizons even further and start looking at the wonderful and varied Belgian styles of beer available from local breweries. Cask conditioned ale is beer that is brewed from traditional ingredients (malt, hops, water & yeast) and is matured in the cask from which it is served. This means that it is fresh and unfiltered, imparting a unique flavor. 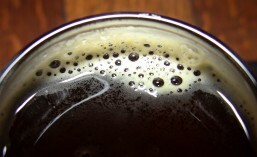 Cask ale is naturally ‘conditioned’ by the secondary fermentation that takes place in the cask. It is then served directly from the cask, without use of carbon dioxide or chemical treatments of any sort. If you’re a cask ale veteran, then you know what to expect. If you’re new to the concept of cask ales and this sounds like something you’d enjoy, then read on for details about the 2015 Cask Ale Festival hosted by the Washington Brewer’s Guild. The Washington Beer Commission puts on several different festivals each year. They include the Washington Brewer’s Festival, Bremerton Summer Brewfest, Everett Craft Beer Festival, Inland Northwest Craft Beer Festival, South Soud Craft Beer Festival and Belgianfest (which took place just last month down at Pier 66). They used to also host the Washington Cask Beer Festival but this year, the reins have been handed over to the Washington Brewer’s Guild. Cask beers have a different character than beers you’ll find on tap, including the fact that they may be both served at warmer temperatures as well as being generally less carbonated. I think this allows you to explore other flavors and aromas you wouldn’t necessarily find in the very same beer if it was being served from a traditional keg rather than on cask. Set to take place this year on Saturday, March 28th, the Washington Cask Beer Festival will feature cask-conditioned, unfiltered and unpasteurized beer from over 40 different Washington breweries. Also set to be on tap for this year’s festival is ‘Herbert’s Legendary Cask Festival Ale’, a special cask beer brewed collectively by the Washington brewers in memory of Bert Grant. Further details are below.